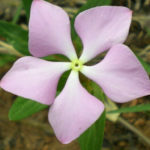 Catharanthus lanceus is a herbaceous perennial plant up to 3.3 feet (1 m) tall, with a carrot-shaped taproot up to 32 inches (70 cm) long. 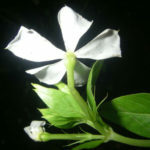 The leaves are opposite, blade oblong to narrowly ovate, green, up to 1.8 inches (4.5 cm) long and up to 0.5 inch (1.3 cm) wide. 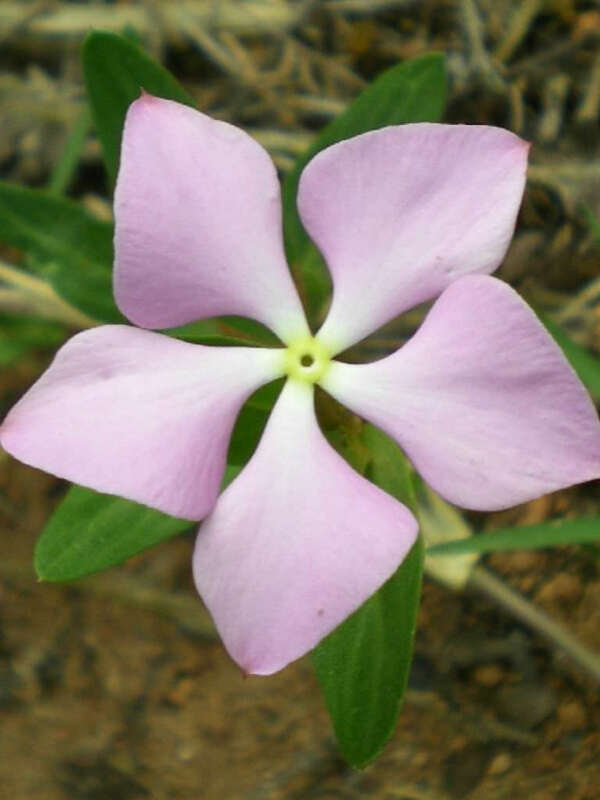 Its fragrant flowers feature white or cream corolla lobes turning pink, reddish-violet or pink-magenta. 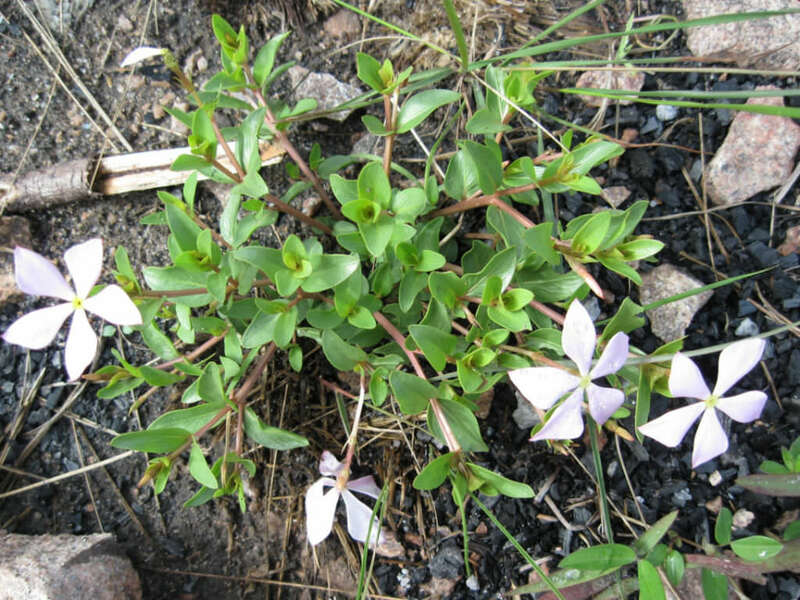 Madagascar Periwinkle is native to Madagascar but is cultivated and naturalized in most of the tropical world and in warmer climates in the United States. 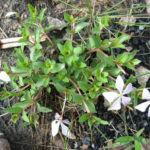 It can be found in a variety of woodland, forest and grassland locales, but one of its primary uses is a bedding plant in highway medians or commercial landscapes. 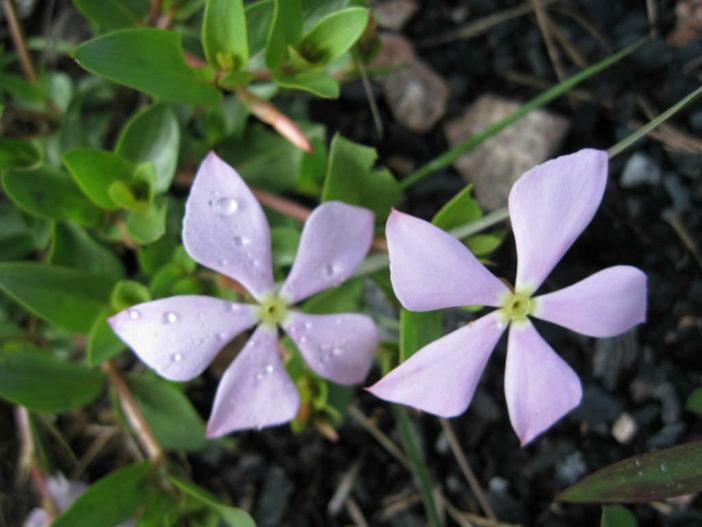 Madagascar Periwinkle also makes a striking clumping plant for home gardens as ground cover, in beddings or edgings or in containers. 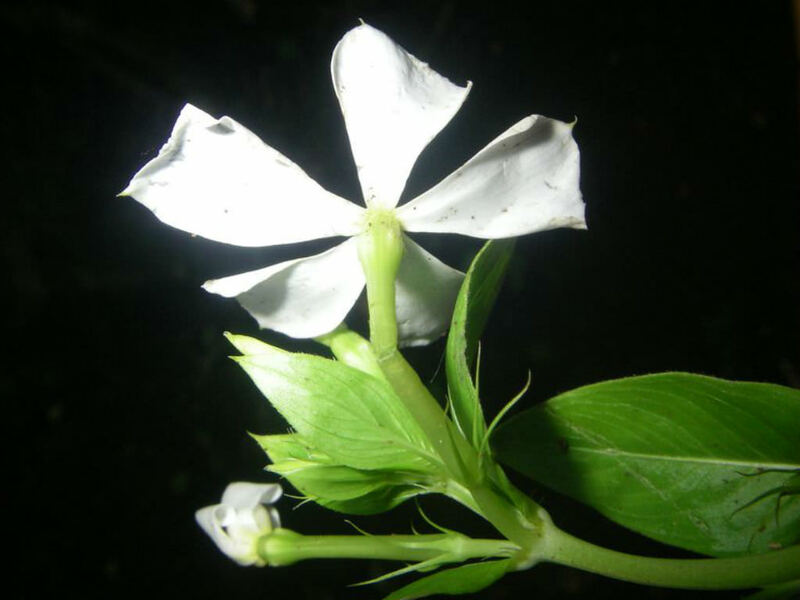 Native and endemic to Madagascar.